Applications for the following full-time position are no longer being accepted. 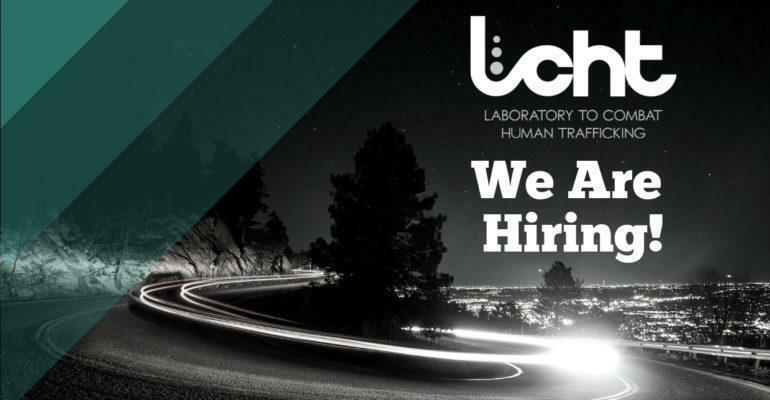 Stay connected through e-updates or on our website for future employment opportunities with the Laboratory to Combat Human Trafficking. LCHT’s mission is to inform social change that eliminates human exploitation; our vision is the end of human trafficking. Since 2005, LCHT has trained more than 30,000 community members, law enforcement, and social service providers. combathumantrafficking.org. The Program Coordinator is responsible for supporting core program activities for LCHT. S/he will utilize excellent communications and organizing skills to reach a variety of audiences by supporting LCHT’s four program areas (training/education, research+action, leadership and hotline). 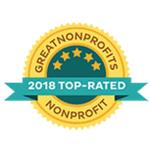 As a result of this individual’s efforts, LCHT will be viewed as an organization that is influencing and shaping the anti-human trafficking movement at the local, state, regional, and national levels. This coordinator’s efforts will have a direct impact in sustaining and growing the reach of LCHT and to end human trafficking. The Program Coordinator supports the overall organization in daily operations and programs. This coordinator will have responsibility for the management of the hotline, assist in development of communications and marketing for LCHT programs, and admin support. The ideal candidate should be a strategic, innovative, organized, energetic leader and a team player. A bachelor’s degree in a field of study related to the job description, preferably psychology or human services or social work, and five years full time professional experience; Master’s degree preferred. Prefer degree or significant experience in communications for an organization. The job will require regular travel across the state as well as flexible work hours, including some weekend and evening hours. Interested applicants should submit a resume/CV, cover letter, list of 3 references, and short writing sample (e.g., Blog post) to Accounts@Combathumantrafficking.org.